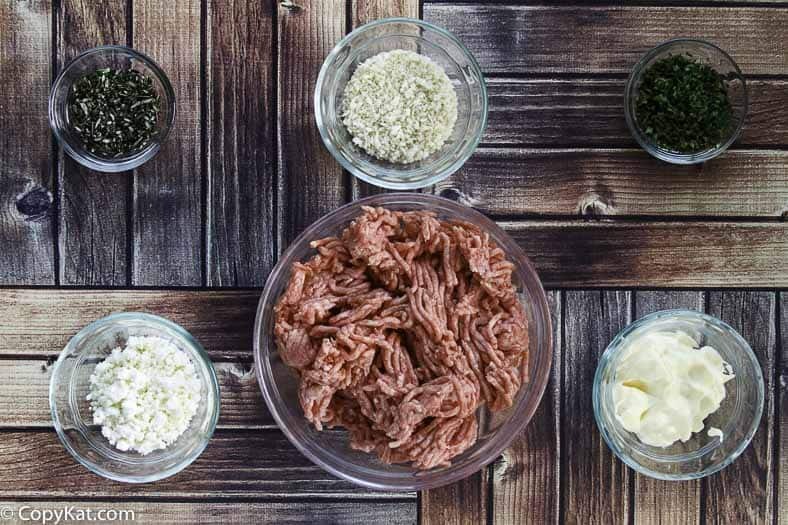 Greek Meatballs are lamb meatballs perfectly seasoned with fresh herbs and a secret ingredient that you will never guess what it might be. Years ago I went to Greece, and I fell in love with the food. The flavors of Greece are unique, fresh herbs, lemon, garlic, and lamb are components of many of the dishes. You can make some Greek inspired recipes with Hellmann’s® or Best Foods® Organic Garlic Mayonnaise. I know when you make meatballs you don’t immediately think of mayonnaise, I think adding a touch of mayonnaise adds flavor and adds the right touch of moisture to the ground meat. Making dinner is easy, I went to Walmart and picked up my Hellmann’s® Organic Garlic Mayonnaise along with everything else I needed to make dinner. This recipe has fresh parsley and some fresh rosemary, and the garlic comes from the Hellmann’s® Organic Garlic Mayonnaise. It adds the right touch of garlic without being overpowering. These are simple as these Greek meatballs are made in the oven, so it makes it very easy for you to prepare. Who doesn’t love it when dinner is quick and easy to prepare? 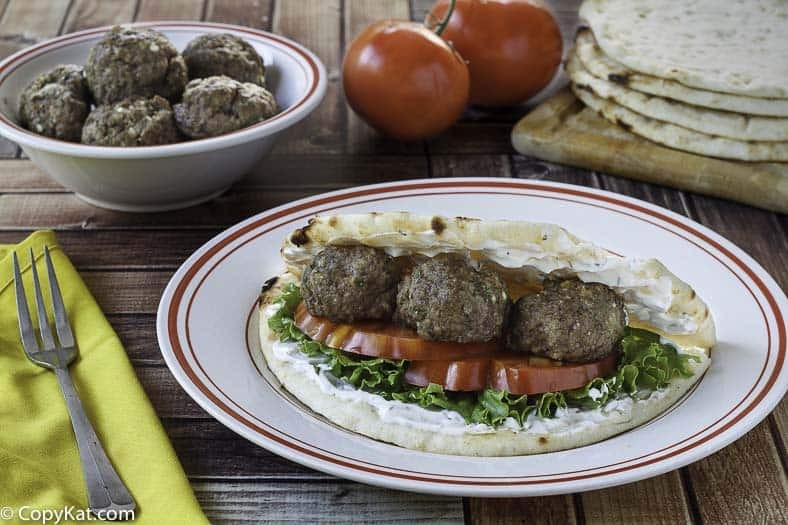 You can serve the Greek meatballs with some warm pita bread that you have warmed up on the grill, and add some fresh tomatoes and lettuce and you will have an amazing dinner. You can enjoy this recipe and many others with Hellmann’s® Organic Garlic Mayonnaise, they even have another great flavor Spicy Chipotle Mayonnaise. Greek meatballs were never so easy to make. Preheat oven to 425°. Combine ground lamb, Hellmann's® or Best Foods® Organic Garlic Mayonnaise, cheese, bread crumbs, parsley and rosemary in large bowl. Shape into 16 meatballs. 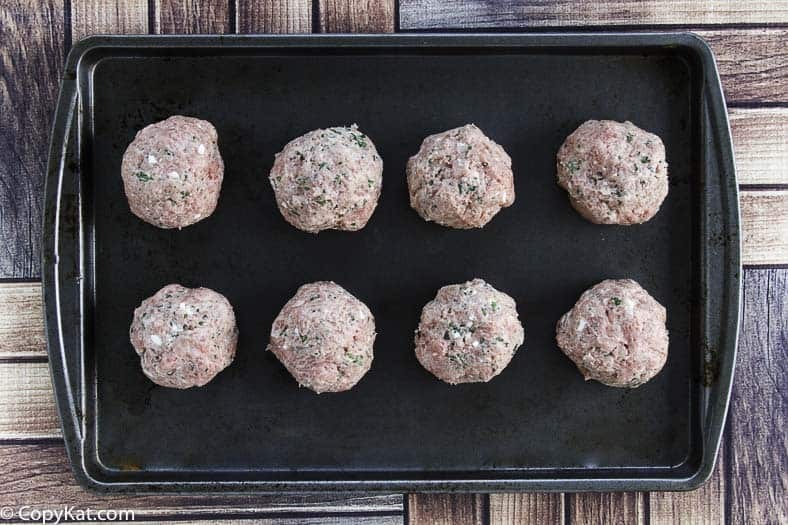 Arrange meatballs on rimmed baking sheet. Bake 15 minutes or until meatballs are done. 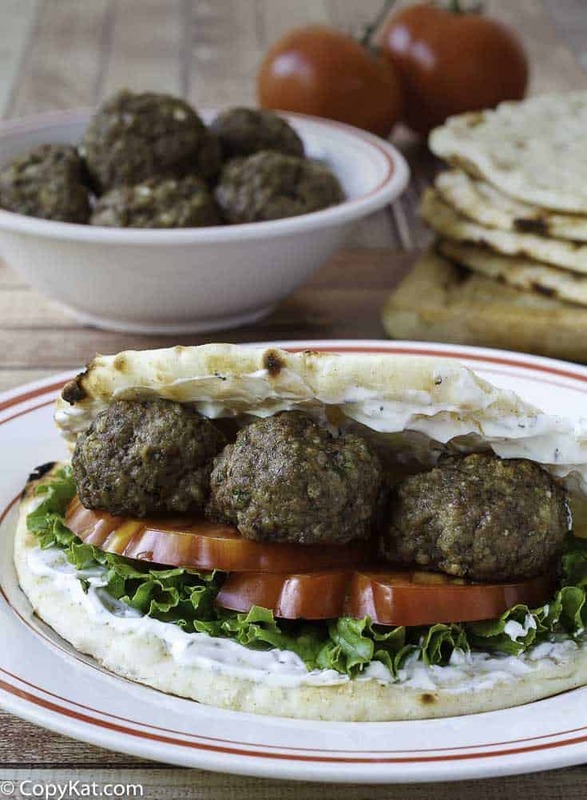 Tip: For a great sandwich, serve meatballs in pita pockets with this quick tzatziki sauce. Combine 1/3 cup Hellmann's® or Best Foods® Organic Garlic Mayonnaise, 1/4 cup grated or 1/4 cup diced cucumber and 1 tablespoon lemon juice in a small bowl. Have you ever had ground lamb patties that are grilled? They are delicious with the spices here…I used to make them and have mint jelly on the side. It’s a green jelly but it goes well with lamb chops too. These meatballs look delicious and I will make them soon! My store didn’t have the correct mayo so I grated garlic into regular Hellman’s. I didn’t have any idea how much to use but I love garlic and am just serving this to myself so I guess it doesn’t matter. 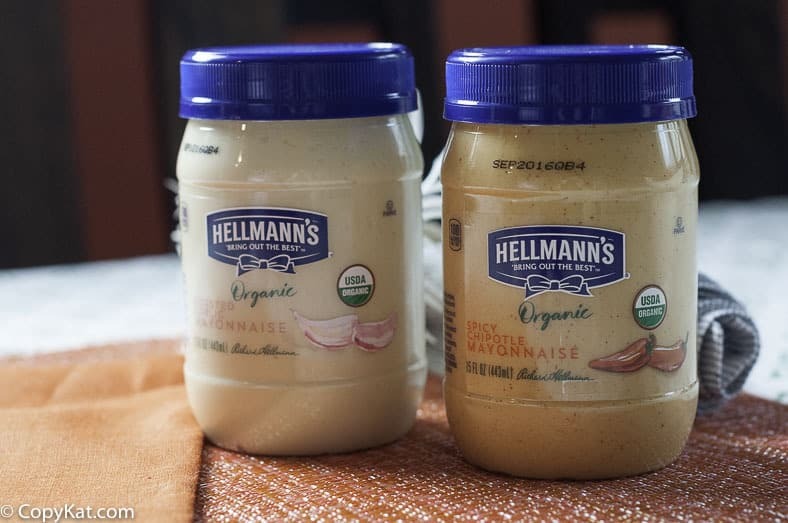 I wonder if Hellman’s quit making it? Did anyone else have trouble finding it? I made this today and the meatballs are fine, but I didn’t care for the sauce made with the mayo. I think I am too used to the yogurt sauces. Maybe it’s because I didn’t have the right mayo and had to make my own. Recipes are different throughout Greece and depending on how they were passed from mother to daughter. I make the keftedes similar to your way. But my koukourakia are different and taramosalata are different. The same as any recipe from my father’s side of the family or my mother-in-law’s. Just as one person’s potato salad, corn bread or chocolate cake is not the same as someone else’s. I would never criticize your recipes. Ignore the people who do. Your website is fantastic and I use it for learning new methods of Greek cooking…or to combine your methods with mine. I’ve never had lamb meatballs before. It’s always been turkey or beef and I want to give this a try. I love greek food so I just know that I’ll love this. I would try this with beef if you don’t want to go with lamb. I think the flavors could be a little strong for the chicken. Do you think I could bake the recipe as a small meatloaf? I think it would work fairly well. There is a special meatloaf pan people make. It is a loaf pan with an insert that drains away excess fat and liquid, this way it would cook up well. You could also shape the meat into long logs as well. That is also somewhat traditional. WOW, this looks absolutely AMAZING!!! Yumming to keep for later! this looks like a great summer meal and your photos are so amazing . It sounds so good! I’ve never heard of greek meatballs! Can’t wait to try your recipe! I didn’t know these flavored mayos were out there! YUMMY! I bet they really put a kick into sandwiches too! Thanks for sharing. I don’t really enjoy lamb on its own toooo much, but you know what? With all the flavoring mixed into the meatballs, I may enjoy it this way. Thank you! I’m a big fan of Greek food and this looks amazing! Will definitely have to try it! My hubby loves lamb! These meatballs sound right up his alley! My husband and I went to harpoon spring Florida ate at a Greek Restaurant love their Gyros! WHAT does your comment have to do with the recipe posted? JEEZ! Tarpon Springs (darn that auto correct) is the largest Greek community outside of Greece. Hence, reference to Greek food. It’s a great place to go to try authentic Greek food. Oh, this looks so good! I love new and different dinner ideas, and this seems like a great option. I love Greek cuisine and this recipe looks delicious. Can’t wait to try it! Ah, we round women love mayo! Awesome idea to add it to meatballs.